You are currently browsing the tag archive for the ‘Neil Buhne’ tag. I write with reference to the article by Shamindra Ferdinando, to which he kindly drew my attention, which appeared in your columns on April 16th. While I am grateful to him for drawing attention to a period when government had dedicated agencies to deal with such matters, using analysis and argument rather than knee jerk reaction, I must draw attention to one very misleading element in the article. This is important because it will also help in clarifying how to deal with the type of situation that arose. Mr Ferdinando has a sub-heading to introduce the section in which I figure which states ‘SCOPP Chief lambastes UN’. The sections he quotes show that I did nothing of the sort, and the whole article was about Sri Lankan aberrations, to use this to attack the UN is misleading. Indeed I had nothing but cooperation from the then UNDP Resident Representative, Mr Neil Buhne (whose name Mr Ferdinando continuously mis-spells), in trying to sort out the mess. When I first questioned the grants to the LTTE, both he, and the then Norwegian Ambassador, Tore Hattrem, whom I also found very positive in his approach, pointed out that these grants were approved, indeed initiated it seemed, by the then Sri Lankan government. The fact that the LTTE misused the grant may have been predictable to many of us, at least after it became clear, not very long after the CeaseFire Agreement was signed, that the LTTE had no intention of abiding by its terms. But when the then elected government of Sri Lanka behaved with incredible folly, to blame the UN as a whole is wrong. Indeed Mr Hattrem wrote to the LTTE to upbraid them for engaging in terrorist propaganda on the website that had been set up with Norwegian and UN funds, but the initial grant was given in good faith at the behest of the Sri Lankan government. I should note that I found abuse too of the grant that had been given to SCOPP, as I pointed out in the article. The Secretary General of SCOPP at the time, when I questioned him, told me he had wondered what was going on, but he never bothered to find out, or to put a stop to it. I should note too that the new head of UNICEF, Philippe Duamelle, at my request, ensured that the funds given to UNICEF were audited (though regrettably he told me that he was unable to share the report with me). When I expressed wonder at what had gone on before his arrival, he said frankly that he could not understand it. It was his predecessor who tried to tell me that UNICEF was prepared to condone violation of laws because the Tigers had told her they needed to change their legislation to stop recruiting children under 18. I complained about this to the UN and received an apology – and an assertion from Radhika Coomaraswamy who was in charge of the subject that the UN upheld national and international laws. But on other occasions when I asked others in more senior positions to get things in writing – as when the Head of UNOPS apologized to us for the behavior of Benjamin Dix – nothing was done. It is precisely because of our failure to deal with aberrations direct, and work together with the many senior international officials who do their best to work in partnership with us, that the few individuals who had another agenda got away with bad behavior. Even when I ceased to have any executive responsibility, I suggested to the Ministry of External Affairs that they write formally to the UN to clarify matters, but of course nothing was done. Hence our failure to rebut the excesses of the Darusman Report with the support of the UN, instead of which we allowed what I might term the interventionists in the international community to engage in as one-sided criticism of senior UN officials (through the Petrie Report) as they had done of us. Whilst we must be constantly vigilant about those who wish to attack us, the thrust of my article was that we needed also to put our own house in order. This is more true than ever now, with a Minister of External Affairs who seems determined to alienate all potential allies, whilst grossly misleading the President about what is really happening. I trust therefore that Mr Ferdinando will also devote some of his journalistic skills to exposing what is and was wrong about our own officials, instead of highlighting only the misdemeanours of a few young international staff and then implicitly criticizing the whole UN system for this and our own failure to be firm on good grounds. I was finally spurred, by the enormous effort made by a few expatriates to take a careful look at the casualty figures for the conflict, to try myself to put together some figures systematically. Long ago I had made some estimates, based on the details I had got from Tamilnet as well as on figures from the ICRC of the sick who had been taken to hospitals in government controlled areas. But though government has now accepted what I said, at the time I was even criticized for my candour by those who should have known much better. I should note that I was not entirely on my own, for the army, understanding better than most what was at stake, helped me with visits to the sites where the fighting had taken place, and in particular to the hospitals which were largely undamaged, contrary to the propaganda put out about them. But when the books I produced were ignored, I thought it better to concentrate on reconciliation with regard to the future. Recently though I have been heartened by two envoys who have done well in dealing with the media telling me that I had been their initial inspiration. And when Michael Roberts and the Marga Institute produced ‘The Numbers Game’, and the remarkably sharp journalist Kath Noble assessed this positively, I thought I should make yet another effort. 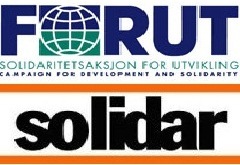 The link Wikileaks has established between the Norwegian NGO FORUT and Solidar, the umbrella organization of European NGOs that benefited from so much funding in Sri Lanka in the period before the LTTE’s military wing was destroyed, prompted further research which has proved most enlightening. To be precise I should note that the link brought to our notice was between the erstwhile heads of those two organizations in Sri Lanka, but the continuation of their campaign against this country suggests that the congruence of their attitudes while they were here was not entirely accidental. I venture to suggest now that there was even more to their plotting. In August 2008 there was a claymore explosion that damaged a car belonging to an NGO working in the Vanni, and injured its driver. This was used to criticize the Sri Lankan government and what was alleged were its Deep Penetration Units, but at the time I wrote that we needed to look at the incident in the light of the use being made of it at the time. Following what Weiss describes as the ‘recriminations’ that affected UN international staff, most decided to head back to Vavuniya, and only Harun and ‘a UN engineer’ remained behind to try to get the Tigers to agree to releasing the local staff and their families. He was to stay on for over a week more, getting back only on January 29th. Needless to say, the local staff was not allowed to leave, though as it happened, in a clear indication that allegations of indiscriminate attacks on civilians did not happen, all of them survived the conflict. Weiss refers to 132 of them, though interestingly, more recently, I have seen a lower figure canvassed, as though to belittle my point about all of them surviving. There is also some doubt about the UN engineer Weiss describes, since the information given to the military was that Harun’s associate was a Sri Lankan Security Officer with UN Security called Mr Suganthan. It is not at all surprising that he is reported to have been able to migrate to Canada within a month of getting out of the Wanni. This again is an example of where our Ministry of Foreign Affairs should have found out more about the circumstances, but there is little coordination between the different government agencies responsible for working with the UN, and I fear even less understanding of the way in which different individuals in the UN system operate. 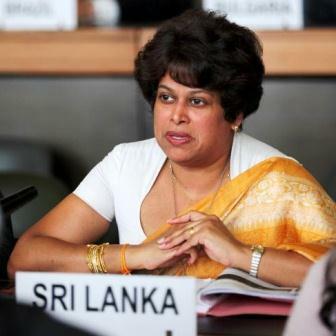 Ambassador Kshenuka Senewiratne, Sri Lanka. I was pleased to read a vigorous denunciation by our ambassador in Geneva of the negative comments about Sri Lanka contained in the report of the UN High Commissioner for Human Rights, Navanetham Pillay. I had feared earlier that our Ambassador was far too trusting about Ms Pillay, perhaps having been taken in by her presumed penchant for sari parties, the all-girls-together approach that is no substitute for proper diplomacy. Having been told by a distinguished Indian that, whereas in Dayan Jayatilleka’s time there were requests for cooperation, we now simply asked for votes, I could understand why we seemed to be slipping behind in a world in which self-interest is all, and Sri Lanka is well on the way to being a lucrative object of self-interest on all sides. The fact that we are no longer the loser, into which continuing terrorism was rapidly turning us earlier, has been noticed, but not to congratulate us on our achievement but simply to raise the stakes. In this context it is important that we make it clear how Navi Pillay has been consistently out on a limb against us, and her present performance is nothing to be surprised about. I missed therefore, in our Ambassador’s speech, reference to the manner in which Ms Pillay had been gunning for us from the start. The most obvious example of this occurred in June 2009, when she virtually challenged the decision made the previous week by the Human Rights Council. She was very properly rebuked by the Indian Ambassador, and in a context in which unnecessary and unfair comments about India are being made, it would have been sensible for our Ambassador to once again place on record our appreciation of the support India extended to us without reserve when we were under a profound terrorist threat. The recent seminar on Countering Terrorism was a rich and enlightening experience. It helped me to understand further the deep sense of hurt that our military and political officials feel about the swarm of attacks they now have to face with regard to allegations of war crimes. I had known earlier from the statistics I collected from daily TamilNet reports that we had done our best to fight a clean and careful war. Until the end of 2008 we had succeeded, in the Eastern Province, and also during the whole operation to retake the Western part of the Wanni. Even then though, we had to face allegations that had no basis whatsoever in fact, as with the Human Rights Watch claim that we had engaged in indiscriminate attacks on civilians in the East. The Report that accompanied this assertion, which hardly anyone read in full then, which has now been forgotten though the sensationalistic claim still reverberates, makes it clear that there had been only one incident in which civilians had died. That had been caused by mortar locating radar, with the LTTE having been proved to have been inside a refugee centre, bearing weapons and with bunkers having been prepared. Human Rights Watch grants this but claims that there is no evidence that the LTTE used heavy weapons. Sadly, in their zeal to target the Sri Lankan government, they omitted to put on record the obvious demand, that the LTTE should not use refugee centres as places from which to fire. The stunning silence of the now hysterical international community seems to have encouraged the LTTE to use this tactic with impunity again and again.